SUPER SALE at Emu Ridge just in time for Christmas. 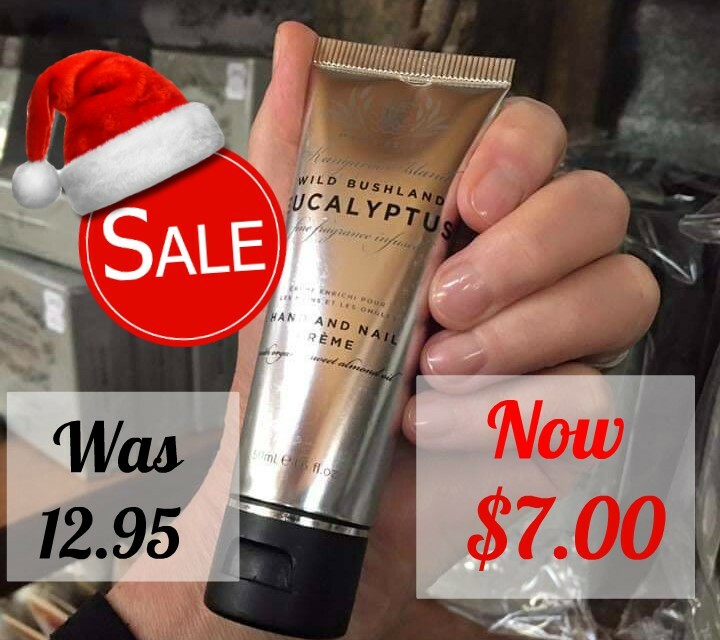 The 50ml Hand & Nail cream normally $12.95 and its only $7.00 Sale finishes on the 20/12/18. Makes the perfect gift or just for yourself! This 50ml luxurious Kangaroo Island Wild Bushland Eucalyptus Hand and Nail Cream is great for having with you every day and slipping into your handbag it also makes a lovely Australian gift. The Hand & Nail Creme is 50ml with Organic Sweet Almond Oil. It is a soft, decadent creme with macadamia, sweet almond and jojoba oil to leave your hands feeling silky smooth. The cream has been made in Australia by Maine Beach using our Emu Ridge Eucalyptus oil. They specialise in Australian body care with fresh fragrances, with key organic ingredients.